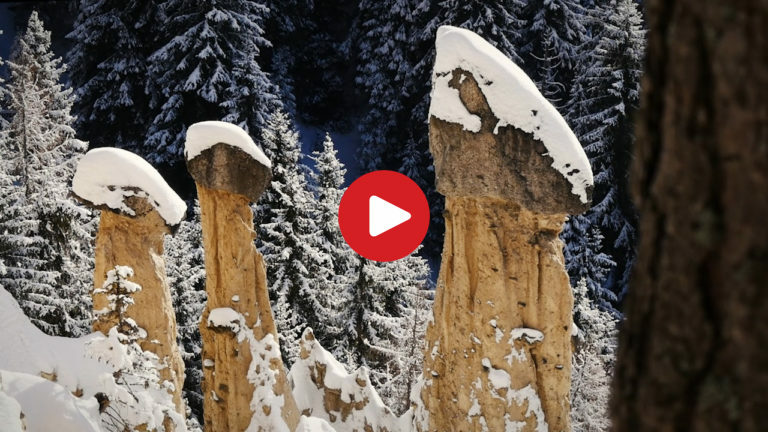 The earth pyramids at Plata near Vila di Sopra are a fascinating natural monument in the heart of the Val Pusteria Valley. Erosion created them hundreds of years ago and they are still evolving. An easy 45 minutes walk leads to the earth pyramids of Perca, which are worth a visit all year round.